The Mugen MR-5 are JDM Wheels made exclusively Honda Automobiles, it says it on the wheel itself! They are also probably the most popular wheel Mugen has produced. The Mugen MR-5 features a 5 spoke face with a 2 piece design and exposed bolts. Sizing was available in smaller 14″, most popular 15″ and the most coveted 16″ diameter. A cool detail was that not only did each wheel have a center caps, but each lug nut had its own cover as well. 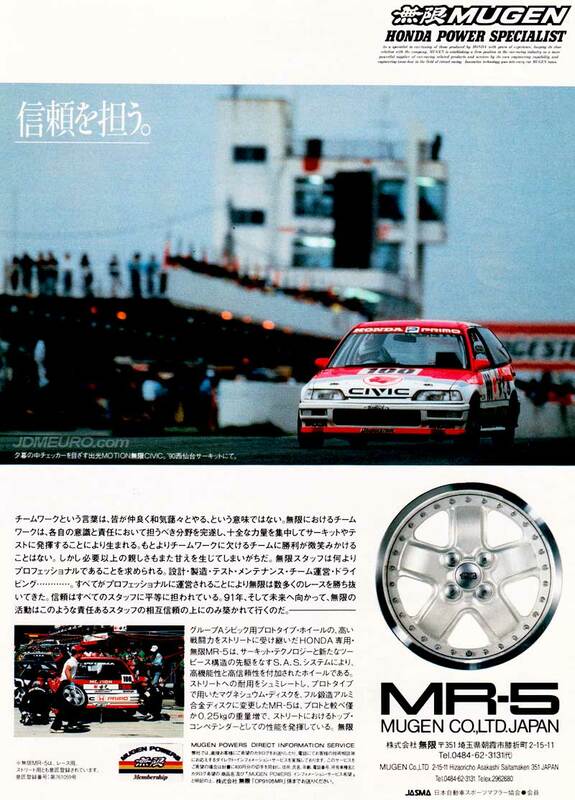 The Mugen MR-5 are manufactured by Fortran Wheels. Pictured above is a 1990 Honda Civic EF.